I am not usually inclined to poetry, but I had a poem well up from inside of me. So I decided to write it down and share it here. If more poems arise within me, I will also share them here! 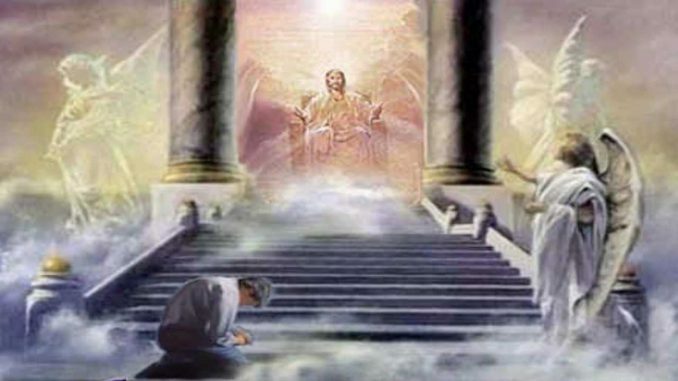 I drop to my knees and enter the throne room of the LORD with awe. The door behind me softly closes, as Jesus takes my hand. I come safely into His refuge, where the worries of this world lack power. Worthy is His name of the highest praise, as I bask in His presence. A more glorious and precious place to be in the universe cannot be found. My burdens in life are many, so I look to Him for relief. Blessed assurance fills my heart, because my pleas will soon be released. Peace begins to flood my soul, for my Father knows my thoughts. He asks only that I express them, for He delights to hear my words. My heart now pours out, through voice and out my lips. My eyes are full of tears, from feelings so long suppressed. Release! Release! That’s what it is! Shear relief! My petitions are now before Him! He takes them in His hand! But no! It’s not time to leave His presence yet. For now is my turn for silence and for Him to gently speak. For without His words of wisdom, I am aimless on life’s sea. For with no course set, where would I be? Communion with the Father was all the remedy needed! Confidence exudes from within me, as I dance my way to the door. Now I leave the throne room, but only for a while. Up from my knees, I continue on life’s journey. Always searching for ways to please my LORD. My heart can’t contain all the love He’s provided. So, to my fellow man I must divide it!